One of the first tests to be done on the new antenna systems is to "check the bandpass". 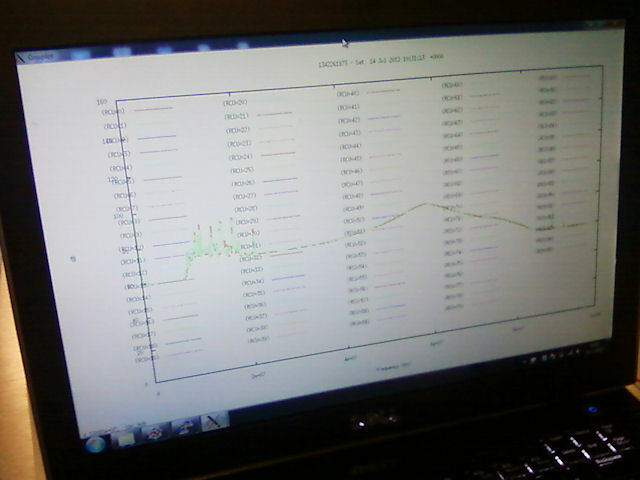 This means plotting the signal strength as a function of frequency for the antennas. By examining this spectrum we can check that the antenna has the correct response and there are no sources of noise or error. It also allows us to see any radio-frequency interference (RFI)... which is typically from satellites or terrestrial radio stations. 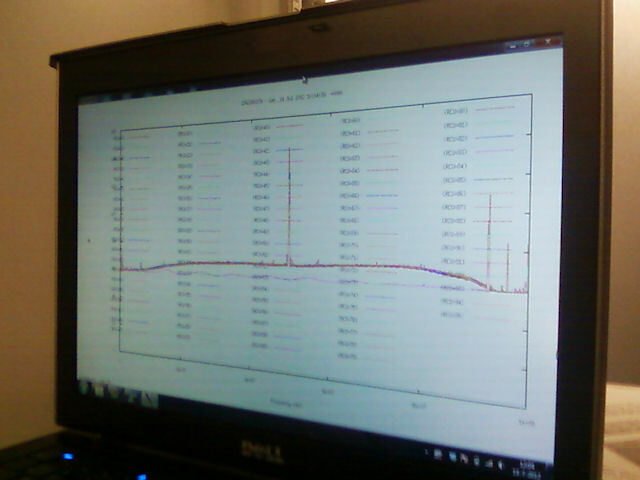 These bandpasses were first achieved on the 14th July 2012.
plot is actually our test signal (which will be switched off later). The first LBA spectrum. At this stage, there are only two channels, as only one aerial had been installed. 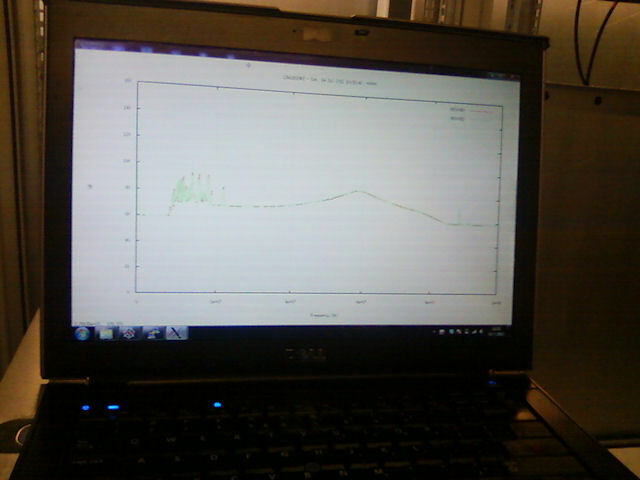 These tests demonstrate not only that the antennas themselves are working, but that the signal processing chain is functioning up to the beamformer. Checking the beamformer is the next step in our commissioning.